This Cuban beef recipe is perfect for those in need of a new slow cooker recipe but it can also be cooked on the hob. 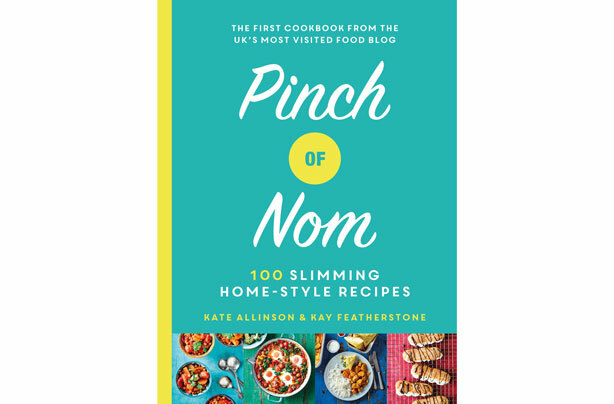 The Cuban beef recipe comes from the new Pinch of Nom cookbook and its authors Kate and Kay explain: ‘This dish combines the gentle heat of Cuban spices with tender beef, which you can cook in the oven, or using a pressure or slow cooker. Serve with rice or pasta for a hearty evening meal. Using wine stock pots adds a special flavour while keeping the calorie count low.’ The Cuban beef is suitable for freezing making it a brilliant prepare ahead meal. Spray a large frying pan with low-calorie cooking spray. Brown the meat over a high heat then set aside. Add a little more low-calorie cooking spray to the pan, then sauté the onions for 3-4 minutes until they start to soften. Add the remaining ingredients to the pan with the browned meat and onions. Pull the meat apart with two forks – it should shred easily. If the sauce is a little thin you can remove the lid to reduce the liquid. Serve on a bed of rice or whatever you fancy. Spray a frying pan with a little low-calorie cooking spray and place over a medium heat. Add the meat and sauté for a few minutes on both sides until browned. Add all the remaining ingredients to the slow cooker along with the browned meat. Set the slow cooker to High and cook for 6 hours, or on Medium setting for 8 hours. Pull the meat apart with two forks – it should shred easily. If the sauce is still a little thin, remove the slow cooker lid and allow it to reduce slightly. Set the pressure cooker to Sauté/Browning, then spray it with a little low-calorie cooking spray. Add the meat and sauté for a few minutes on both sides until browned. Add the remaining ingredients to the pressure cooker with the browned meat. Put the lid on the pressure cooker and pressure-cook on Manual/Stew for 1 hour, then allow the pressure to release naturally for about 15 minutes (Natural Pressure Release/NPR). Pull the meat apart with two forks – it should shred easily. If the sauce is still a little thin, remove the pressure cooker lid and set to Sauté to reduce slightly. Recipe extracted from Pinch of Nom: 100 Slimming Home-Style Recipes, out now (Bluebird, £20).